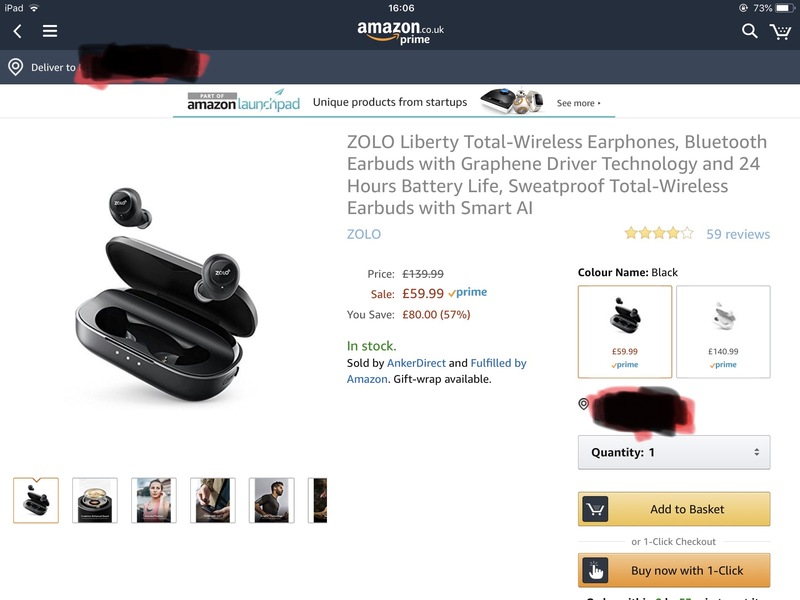 Just spotted a whopping £80 off the Zolo Liberty wireless earphones on Amazon U.K. it’s only for the black ones and are selling for £59.99 instead of £139.99. This is by the far the biggest discount I’ve seen Anker offer on Amazon period! Hope some of you get the chance to jump on this. This is a INCREDIBLE PRICE!!! That's half of the price they are is the U.S. I do think this is a pretty good deal, but is it really incredible? Liberty in US retails for $100. It has been on sale for $80 before... so it seems to me that it is just the common 20% discount. And keep in mind Liberty has had mixed reviews. They lack many of the flagship features of Liberty+ and I know many people (including myself) have had serious issues with regards to the fit and them staying in ears.